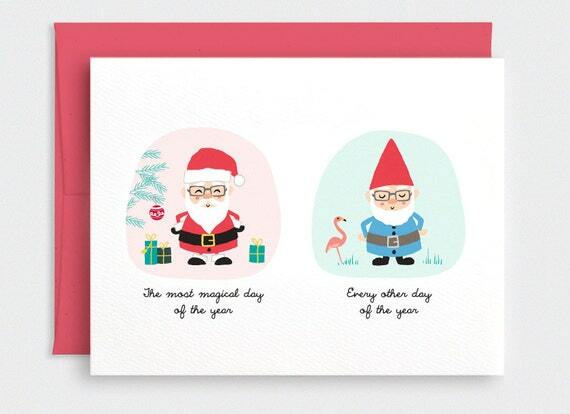 A funny Christmas card features hand drawn artwork of a santa scene and text that says "The most magical day of the year" underneath in black. On the right is a second scene with a garden gnome complete with plastic flamingo and text that says Every other day of the year. So cute! Folksy :: Buy "Purple Ribbed Mug Cosy Crocheted in 100% Wool"
Folksy :: Buy "Purple Ribbed Mug Cosy Crocheted in Gorgeous Ribbon Yarn"